... or shoudl iget something more...diplomatic? Hhuuu thx And i never gona give u up, and never gona let you down! CTGuy was ones part of a infamous clan of Hungarian Privateers, as the clan was extremely proud of their Magyar cavalry heritage they used the same cavalry tactics in their raids. These raids where fast and over within a few minutes disabling the target draining the shields and braking the hatch each ship with its own role. The hunter the trappers and the scavengers. No ship was ever lost nor pirate nor victim. As the groups fame or infamousy grew Archon Delain took interest and wanted them to join his organisation as most objected the dishonourable group of murderers and thief’s. The group was hunted by the cumo crew to force them to join or be executed as an example join or die. Ctguy managed to escape with an old cobra to a newly established colony in the 17 Draconis system. When CTGUY arrived he offerd his services to the colony as posing as a lonely surveyor and aid worker. Storing his cobra in Paradiso station and buying a second hand asp explorer. Hiding among the miners and colonist he found a new joy in exploration and surveying the system enjoying the calming effect of the sights and watching the data as it is coming in. After a few years he came a respected explorer solving disputes among the colonists and miners. “Am i dead, wait rails do not make explosions“ as he opens his eyes he was surrounded by a dozen of ships al with unknown markings. The lead ship opened hailing frequencies “are you alright commander, it seemed you needed some help with those pirates”. ”Thank you for the assistance it will take some time to repair my systems”. A shuttle transferred him to the groups leadship ship. 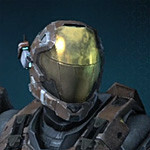 As he looked out of the window he noticed the markings UNSC and Medusa expedition insignias. Ariving on the ship the groups leader Introduced him self as Aide Scot Short “lets go to the briefing room, I hope you like coffee”. In the briefing room he explained who they where , in turn CTGuy told him his life story and wat happened in the last few years. Aide Scot Short walked to the window and looked in to the darkness of space. He pressed a butten and called for Commander Axl foxtrot. As Axl Foxtrot introduced himself to CTGuy. Scot Short made a proposal your skills as an explorer, knowledge of diplomacy and the ability to blend in to other groups, I would like to make you an offer we are forming a vanguard wing of handpicked pilots they are called the forgotten and we need diplomats that know there way around can negotiate treaties and keep there eyes and ears open in diplomatic missions. Axl Foxtrot is the future governor of a new to find system I will have the post as Aide and keep the day to day tasks in the system . when Axl Foxtrot is on missions. “Yes I will accept the post and full fil it with honour”. As Axl foxtrot walks out of the door he says if you still have your cobra you might want to send it to our engineers. An envoy needs a ship that’s fits its stature.